My birthday is February 6th, you could say that is where my obsession with the number came from. I'm not sure. The first Monday event at Czar was so close to my birthday and I had the perfect movie to celebrate with so I made a party out of it. 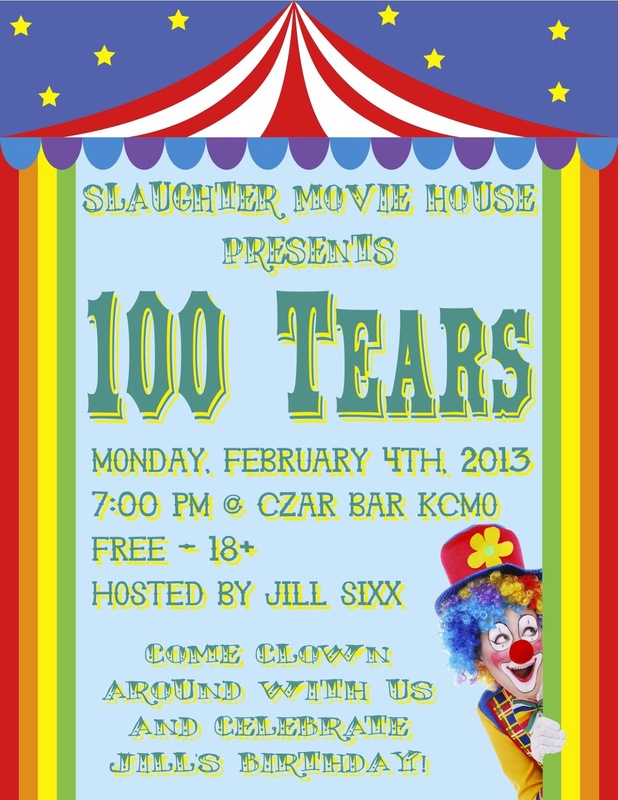 100 Tears is a film by Marcus Koch about everyone's worst nightmare, a serial killer clown. I met Marcus last year at Texas Frightmare Weekend. He always goes, and was there last year with Bloody Bloody Bible Camp (we screened at Slaughter last August). Marcus is an incredible special F/X artist who worked on BBBC and our April feature, Girls Gone Dead. 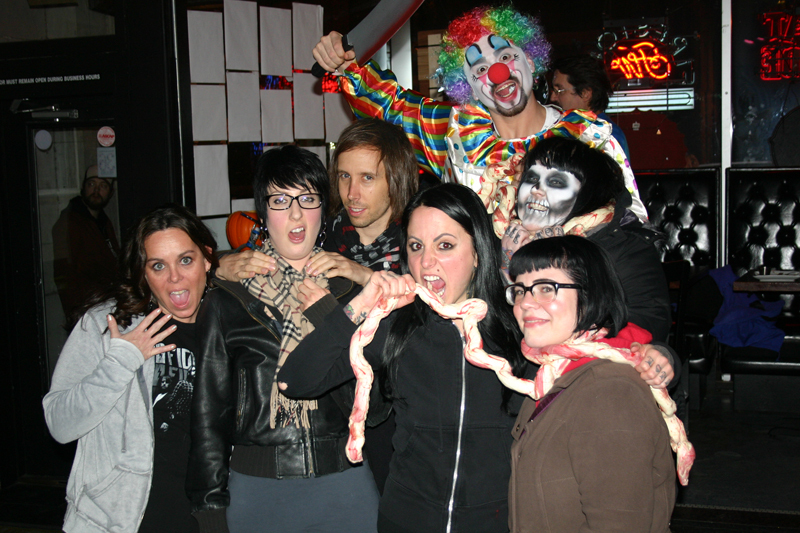 I learned while promoting this event that almost everyone is deathly afraid of clowns. Some of my friends refused to come! Berry Anderson pointed out, in her write-up in the Pitch Weekly, that the technical term for the fear is coulrophobia. Everyone really got into the theme! Rod Zirkle came out and airbrushed everyone. Greg Chaffee made some artifical intestines for us to pose with. Anna Perry (photographer) brought cake, Gary brought balloons, and everyone sang Happy Birthday! It was a great night. Check out the rest of the photos here.